The Huracán 580-2 is the rear wheel drive version of the marque’s introductory model. A Lamborghini full of technology and cutting-edge design, as you would expect. 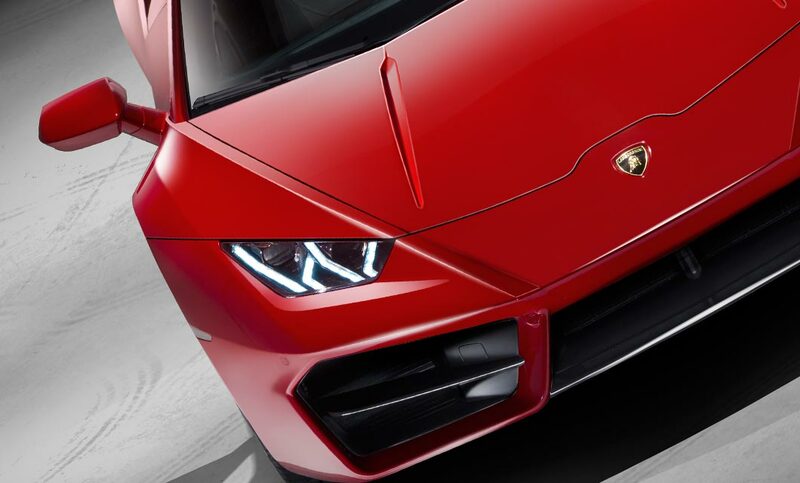 At Rybrook Lamborghini Bristol, we will be delighted to look after you from your initial Huracán enquiry through to vehicle delivery, as well as keeping your vehicle at its best with our dedicated aftersales team. The rear wheel drive Huracán has received brilliant reviews since it’s launch to the market, with Auto Express focusing on the way it drives saying the car feels ‘alert and alive’. Sticking to distinct Lamborghini DNA, the Huracán 580-2 features striking lines which are designed to cut through the air and to engage driver emotion from the first glance. This rear wheel drive model features new front and rear bumpers, exhaust pipes, rear grills and 19" Kari rims, which make it more aggressive than ever before. Move through to the the interior and you are offered innumerable combinations of colors and finishes, as well as a state-of-the-art infotainment system: all the comfort that you'll need to dominate the road, one bend at a time. It is safe to say that form has never followed function so perfectly. The driving experience has been centred around the engineering of the Huracán LP 580-2. Featuring a naturally aspirated V10 5.2 litre engine sending 580 hp to the rear axle, the car’s dry weight is just 1,389 kg, making it 33kg lighter than the four-wheel-drive model. 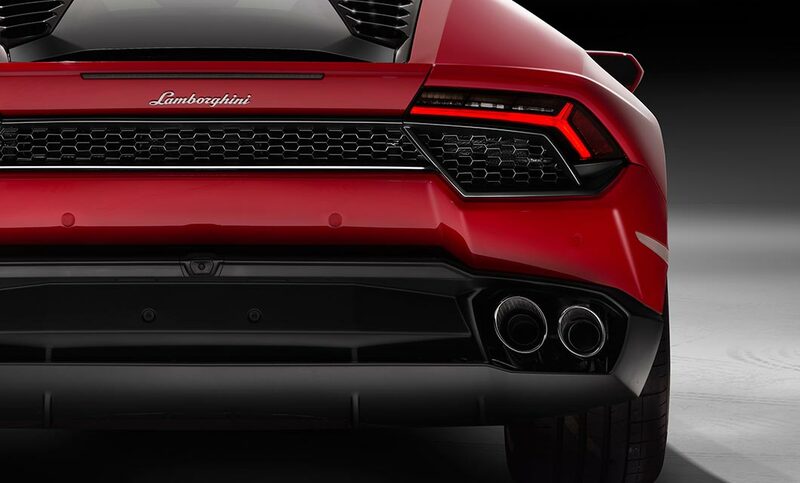 The rear-wheel drive version fits perfectly into the Huracán family, appealing to those wanting an even more intense driving experience, or who currently drive other rear-wheel drive marques and aspire to driving a Lamborghini. This is the purest expression of a Lamborghini to date, with class-leading technological refinements, providing maximum fun to those behind the wheel. On the one hand, you have the incredible power and acceleration of a longitudinal mid-mount naturally aspirated V-10 engine. On the other, you can take advantage of technologies such as the Lamborghini Double Clutch and rear wheel drive, which provide you with the kind of performance that maximizes driving pleasure. Combine these with the electromechanical steering system, carbon fiber and aluminum chassis and double wishbone suspension and you have a perfect combination to give you the fun, exhilarating drive you desire every day. Below are the technical specifications for the New Huracan LP 580-2. Interested in a New Huracan LP 580-2?